When Fitbit announced it was buying parts of Pebble and kill the brand, Fear and Sadness took over our emotional control panels. It's the end of the road for Pebble, but developers and users are slowly finding their way over to sample what Fitbit has cooked with Pebble's ingredients in the Fitbit Ionic. But that won't please everyone mourning Pebble's demise. Is there a chance Joy could take over as we find a true alternative to the affordable, simple to use, long-lasting, geek chic smartwatch series? Simply put, there's nothing that we've seen so far that matches Pebble on every single one of its main plus points. In some ways the list really shows up what Pebble managed to get down. But before you turn away from the whole smartwatch idea in Disgust or Anger (sorry not sorry), consider the below Pebble alternatives and please do add your own in the comments. We have to start here. Pebble's DNA lives on in Fitbit's new flagship smartwatch. Old Pebble developers have been migrating over to the Ionic, as have users. Fitbit is trying its hardest to make sure these people have every reason to jump over, but not everyone wants to go to the afterparty. Regardless, you'll get a solid smartwatch with GPS, Fitbit Pay, and - of course - a whole lot of ported Pebble apps. Will that be enough to quell your broken heart? We're not quite sure, but it's worth a shot. You don't have long to make a decision, as Fitbit is keeping Pebble's lights on until 30 June, 2018. Mobvoi's Ticwatch E is a good example of how affordable doesn't mean you need a bunch of compromises. This is one that ticks (again, not sorry) most of the boxes. Want GPS? You got it. Attractive, simple design? Boom. Good customizations over Android Wear 2.0? They're there. There are no NFC payments, but it does have a pleasant fitness suite and the Google Play Store should you want to download any apps. Using the Ticwatch E is just fun, and your wallet will thank you. Here's another crowdfunding success story. Garnering $6 million on Indiegogo, the MyKronoz ZeTime has that special something that drew people to Pebble in the first place. MyKronoz isn't afraid of thinking outside the box. In this case, it means combining watch hands with a full display, giving you a unique take on the smartwatch. The mechanical hands are always present, and they point to the digital watch faces to signify the time. When you get a notification, the hands move to the 3 and 9 o'clock positions, getting out of the way of the text, which wraps around the hands. Simpatico. Fitbit doesn't like calling the Blaze a smartwatch, but it's pretty dang close. It's also got five days of battery life, so if you're really concerned you'll have to take it off a lot to charge it - don't be. You won't have an app store or NFC payments, but you will have a pretty good fitness experience with decent notification support. And did we mention that great battery life? This one is a bit of a compromise. It's not as smart as a full-on smartwatch, but it's also not as dumb as an analog watch. It's got one foot in either world, with all the stylishness of an analog watch and some of the smarts of a smartwatch. In this case, you've got buttons you can click to activate various functions, which you can set in the companion app. The hands will also spin around and point to whatever color for corresponding notifications. One for runners, the Amazfit Pace - from the tech company behind Xiaomi trackers - has built-in GPS, 2.4GB of storage for music and lasts up to 11 days on a single charge. With GPS and continuous heart rate tracking, that's more like 36 hours but the option is there to go for the week plus battery life. A few more pros, it's IP67 water and dust resistant, it hooks up to Strava Run and it handles call, text, app and email alerts (though we're not sure exactly how they appear yet). Compatible with both iPhone and Android, this is another smartwatch we haven't tested yet but look out for a review on Wareable soon. Let us know what you're considering as a Pebble alternative, and what we've missed, in the comments below. What about Garmin watches? The Fenix 5 series is probably comparable but I know I can't afford it. What about the Vivoactive 3? Beside having a touch screen it seem like a good contender. Same screen, same battery, close on the price and good functionality. What are it drawbacks compared to the pebble time steel for example? Surprised Nokia Steel HR doesn't get a mention (at least in the same category as the Skagen Keeping Thing Simple section). By far the best battery life of anything on this list, and has a decent handful of smartwatch functions and fitness info. I am excited about the Garmin Vivomove HR, which seems to up the ante on fitness tracking at the expense of battery life. Like many here, I mourn the loss of Pebble, and was sad when I learned I was never going to receive my Time 2. I want a watch that looks close enough to a regular watch (not huge or plastic), lets me swap in a metal band, and I don't have to charge it every night. With the Nokia, I set a reminder to charge it on Sunday evenings (for, like, an hour), and never have to think about it again. Too bad the Garmin is gonna need more attention. Supposedly Citizen wanted to buy Pebble in 2015 for like $740 million, but Pebble was doing well at that time and wanted to go it alone. Sad. 1. It has long battery life, no need to wear a no battery watch all the time. 3. Pebble Time is light and slim, I bought TicWatch S too and found it very bulky and returned it. 4. The vibration of Pebble Time works so well that I can put my phone on silence at all time, alarm's vibration can even wake me up. 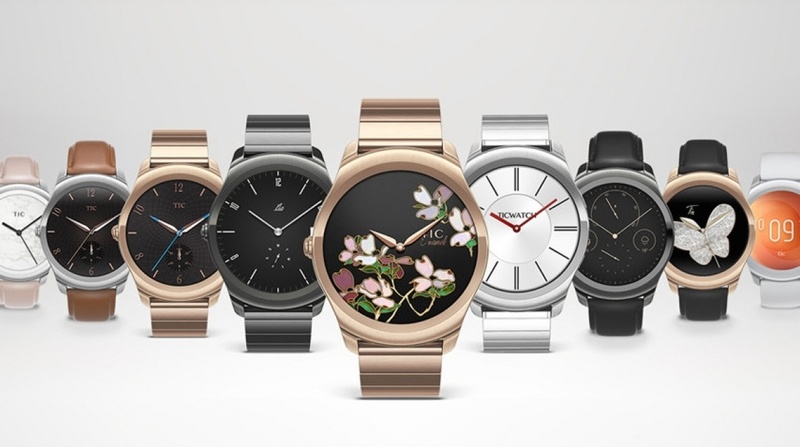 I do hope that there is a Pebble Time replacement watch that will launch before June 30 this year. I have a Pebble Time Steel that I LOVE! When I got a new job I fell in love even more because I can pair both my personal android and work iPhone at the same time for notifications. Do other smart watches have this capability? I already carry 2 phones, I don't need to have 2 watches and I really don't want to have to pair and unpair constantly like I have to in my car. Thanks!